Are you confused by all of the possible investment propertly listings to choose from on MLS.CA or REALTOR.CA? 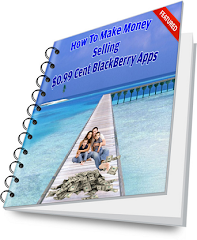 Well, we have created a BlackBerry app that will help you to eliminate the unprofitable properties from your analysis. Stay focused on the property listings that have great potential. Email tmacfarlane@email.com to learn more. 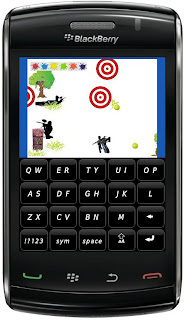 Test your paint ball skills by playing Splat Attack. Get ready as snipers hide behind every corner. Make your mark on the targets that will test your aim. Because of the large number of existing BlackBerry users still using older devices, we must target our official releases at OS 4.2.1. This means we won't have access to some of the newer APIs that might make our job easier, such as those that support SQLite databases (new in OS 5.0). With the release of the BlackBerry JDE Plug-in for Eclipse 1.1, component packs older than 4.5.0 are not available on the standard update site. As of 26-Jun-2010, component packs for 4.3.0 and 4.2.1 are available on the update site for the Beta version of the 1.1 JDE plug-in. The Beta update site is located at http://na.blackberry.com/eng/developers/devbetasoftware/jar/3.5/java. 1.Add the BlackBerry JDE plug-in for Eclipse 1.1 Beta update site. 2.Configure the BlackBerry JDE Plug-in for Eclipse v1.1 to use the 4.2.1 Component Pack from the 1.0 plugin. There's not much to say here. Just install the JDE and configure a project using the source files from the Subversion repository. This tool is being discontinued by RIM. While you can still download the plug-in itself, it's no longer possible to obtain the 4.2.1 Component Pack from RIM's web site. If you don't already have it installed you cannot use this option. You can use tools that support newer OS versions, including the BlackBerry JDE Plug-in for Eclipse v1.1, but refrain from using any APIs not supported by 4.2.1. The Blackberry API Javadoc indicates the minimum OS for each class and method it describes. If you select this option you may contribute source code to the project but you will be unable to test against a 4.2.1 simulator. Note: You must have a previous install of the BlackBerry JDE Plug-in for Eclipse v1.0, including the 4.2.1 Component Pack. The component pack can no longer be obtained from the BlackBerry web site. Copy net.rim.eide.componentpack4.2.1_4.2.1.17 folder from Eclipse 3.4.1 plugins directory to Eclipse 3.5 plugins directory. -Dee.copyright=Copyright (c) Research In Motion Ltd. 1997-2009 All Rights Reserved. -Dee.output.folder.suffix=4.2.1Be sure to edit the path in the first line if you've installed Eclipse 3.5 in a different directory. Save this file in the directory indicated in the first line. Name it BlackBerry.ee. Open Windows -> Preferences, then navigate to Java -> Installed JREs. Click the "File..." button next to Definition File and browse to the BlackBerry.ee that you created eaarlier. You should now be able to target BlackBerry OS 4.2.1 with the Eclipse 4.5 IDE and the BlackBerry JDE Plug-in 1.1. When creating and building your application, it is important to choose the correct version of the BlackBerry JDE to make sure that the application is compatible with the target BlackBerry smartphones. Applications built in the BlackBerry JDE are forward-compatible with newer BlackBerry Device Software versions, but they are not backward-compatible with older versions. For example, an application built in BlackBerry JDE 4.1 runs on a BlackBerry smartphones running BlackBerry® Device Software 4.1 and later. 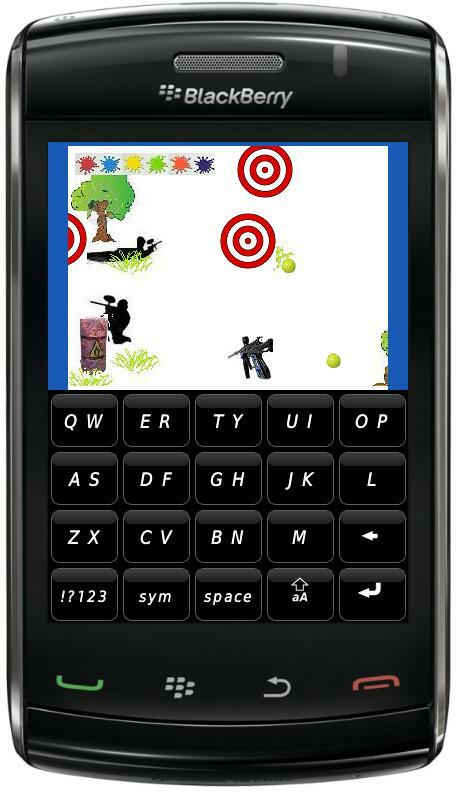 It does not run on a BlackBerry smartphones running BlackBerry Device Software 4.0. Thus, when building applications, you should use a BlackBerry JDE version that matches the lowest version of BlackBerry Device Software you want to support. Note: To verify the version of BlackBerry Device Software installed on the BlackBerry smartphone, select Options > About. Here are the different options to load your apps to your BlackBerry device. To generate an ALX file from the JDE, right-click the project and select Generate ALX file. Distributing an application for desktop installation is easy—just give the ALX and COD files to the user. 1. Connect the device to the computer using a USB cable. 2. If it’s not already running, start the BlackBerry Desktop Manager. 3. Select the Application Loader. 5. Click Browse, and find the ALX file for your application. 6. Make sure the check box next to your application is checked, and click Next and complete the wizard. Farmer Lou needs to get the barn yard animals back into the barn and stop them from stealing his horse's hay. 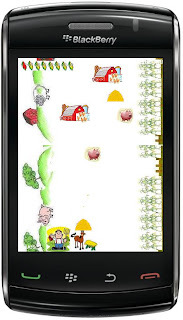 Watch out for the pigs, chickens and cows and you move across the farm to put the animals back into the barn. The barn yard animals are trying to steal your horse's hay. 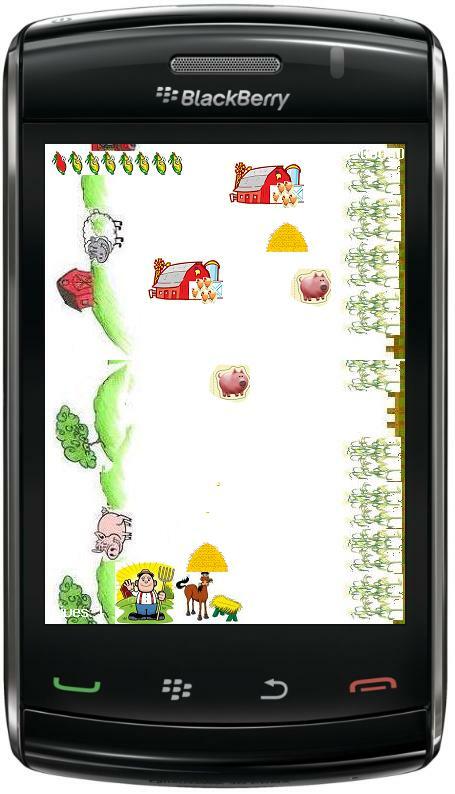 Can you get the animals back in the barn and save your hay?